We are looking to relocate ourselves to London and are looking at a home in the catchment area of these schools. Earlsfield primary is rated higher than Beatric Potter in the Ofsted report, but Beatrix Potter seems to be a highly sought after school. Would anyone be able to offer views on both schools? I found a few posts online but they are all pretty old and may therefore be outdated. Beatrix Potter is the better school. But the catchment area is a bit funny with designated areas and the like. BP has a history (like Belleville, Ravenstone) of being a feeder into really good indy. schools and many parents effectively go state to eleven and then private. Earlsfield is not a bad school but it's not the same. I would suggest a visit to both schools .I would disagree with the above post that BP is better than Earlsfield,it is always a matter of personal experiences and likes and dislikes. They are both really good schools but quite different in their approach as far as I can see. I also think you'd be wise to go and have a look at them. It really depends on what you're looking for in a school. Getting an outstanding Ofsted report is quite a technical thing and I think, as a BP parent, it's an outstanding school even if not by the official measures. I also know many people who are very happy with Earlsfield. I'm only going to talk about BP as I don't know enough about the Earlsfield experience to compare the two, but I'm sure someone else will! Beatrix Potter is focused on the children as individuals. Any formal assessment mine have undergone has been slid into the school routine in the least stressful, most enjoyable way possible. I would say it's almost a point of pride for the school not to get agitated about assessments, and it's certainly easier on the children. They cover everything they need to, but there also seems to be a commitment to extra-curricular learning that I find very impressive. Sport is pretty good for a state school and after-school clubs offer loads of opportunities for sport, drama and languages. A lot of the kids go on to private schools or excellent state schools. The standard of teaching is high, but it's designed to make learning a positive and pleasurable experience. The facilities are excellent and the PTA is very active so there are decent funds for extras. 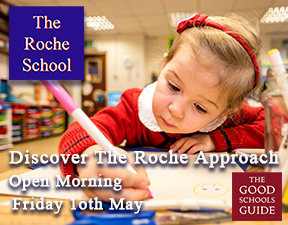 The school is a lovely environment for learning and playing, and the children have a very strong sense of being part of, and responsible for, the school. 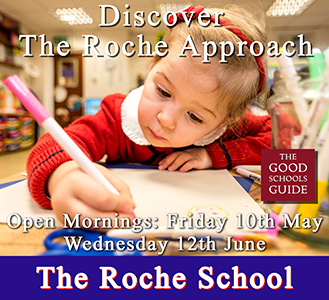 The catchment area is quite small so there's a great community and parents are encouraged to be involved both directly with the school and socially outside school hours. We are BP parents too and the above post is an accurate summary. We love the school and its ethos. The parents and their children are all like minded. It has a terrific sense of community. With use of the sports facilities behind the school, the sport is amazing for a state primary with my kids doing cross country, hockey and netball. The PTA is very active and raises great funds which get pumped into tennis lessons for the kids amongst other equipment and activities. 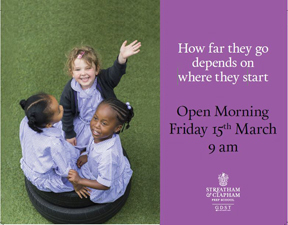 BP offers a fantastic start in life and the kids that get to go are very lucky. I have a few friends with children at EP. They are equally as happy ! Go and look at both. They are different so it will just depend on what you want from a school. Good luck! I was in the same situation a year ago when my little one was about to start primary school. I visited Earlsfield Primary, Beatrix Potter and also Riversdale. I loved BP, no doubt. Is a small school with great feeling. Riversdale is a bit bigger and the feeling was also fantastic. In Earlsfield I felt the school was good enough but I was concerned about the size. I think, at these ages, kids feel more special if everyone around, knows them by name. I talk to an assistant teacher there and she also mentioned that while a great school, Earlsfield was a bit too big. I ended up requesting all three but Earlsfield the last one. We got my first choice, Riversdale, and I can't be happier. Thank you so much for the advice! We are coming to London in September and could not be more excited. Very difficult to give an objective perspective as no-one will have kids at both. Firstly I'd say you're not going to make a bad choice. My kids are at EPS and I think it's fantastic but I've got neighbours at BP and they say the same. By the neutral measures EPS would come out on top. It's Ofsted is "outstanding" (deservedly) and it's academic achievements are better. Earlsfield is larger and I was put off by that initially but it doesn't feel large. Kids are greeted at the gate by their first name and I know my kids feel nurtured and fulfilled. The choice of afterschool clubs is tremendous, the school is very focused on community spirit and there is a very active PTA. Most importantly there is a tremendous focus on the individual needs of each child. I'd thoroughly recommend EPS but have a look at both and try to meet the headmaster of both. I'm sure you'll end up making the decision that best suits you and your kids. We are also thinking about relocating to Earlsfield. We have 2 kids that will be in year 2 and year 3 in September. We are thinking about Beatrix Potter. Would anyone know abounthe catchment area for the school? Agree with post that says it’s difficult to give an objective opinion here. You def need to visit both and feel which one is right for your kids and you. We are at EPS and have been totally happy with the experience. No concerns at any point. Def deserves outstanding rating - stunning environment, great ethos, pastoral care and wonderful teaching. Head knows every child, as do the teachers and I certainly don’t think size is an issue. Whichever you choose/ get into you will be happy... and become part of the long- standing rivalry between the two!!!! Having lived in the area for a while and with 2 children having gone through EPS and another still there I’ve seen a great deal of change in attitudes about “which is the better school”. All a bit ridiculous seeing as we are so lucky to have 2 good schools but there you go. But I would say that is no longer the case. So then it boils down to which is nearer geographically - believe me those extra few minutes matter in the morning - and which one is the better fit for your children. Like everyone says - visit them, talk to the heads and the kids. Ignore the chatter about which one is better - It really is just nonsense!